Prior to the 2009 CrossFit Games the name Mikko was as unique to most CrossFitters (or any American for that matter) as the Shake Weight. However, the dominant performance of Mikko Salo in Aromas has cemented the name in our collective conscience and CrossFit Games history. Now the same country that produced the 2009 champ is breeding another firebreather - with the same name. Mikko Aronpaa competed in track and field at the national level in Finland until 2008. He was competitive in the long jump, triple jump, 100m, 200m, and 400m. Aronpaa obviously has impressive speed, including a lifetime PR of 50 seconds in the 400m sprint. 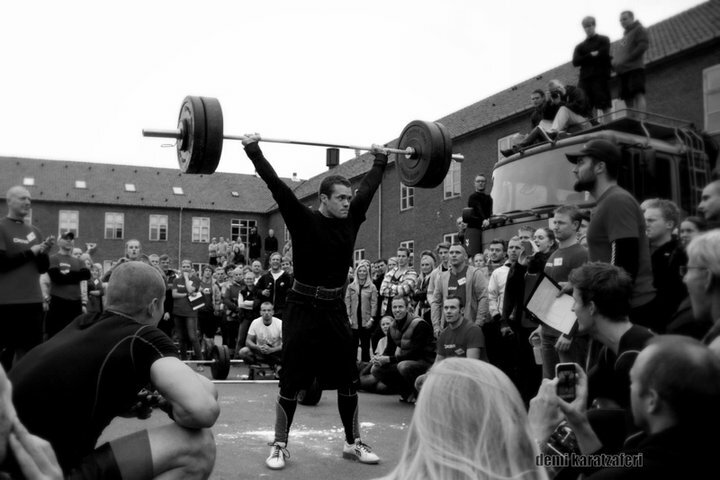 He started CrossFit in August 2009 after hearing about the CrossFit Games. Since then, the 26 year old athlete has hit some elite numbers on many benchmarks, all the while training by himself in a globo gym. Along with Salo, Aronpaa is giving new meaning to forging elite Finnish. Aronpaa competed in the European Regionals last year after only nine months of CrossFitting. He came in fourth, missing the cut-off to go to the games by one spot. With another year of CrossFit training, and experienced Games competitor Blair Morrison back in the states, Aronpaa will be a top contender to reach the Games via Europe this year. If Aronpaa qualifies it will be interesting to note whether the discomfort of the extreme Finnish cold lends itself to performing well in the blistering heat of Carson, CA. Aronpaa has put together an extensive workout video collection on Vimeo. Watch him train squat snatches in the snow, and dominate some of the Cross Gym Internet Challenge WOD’s. Maybe you'll consider Aronpaa training in a snowstorm the next time you complain about the 20 minute commute to your CrossFit box. Crossing my fingers for you, Mikko! 10 December 2010 / 1:40 a.m.
10 December 2010 / 8:12 a.m.
11 December 2010 / 4 a.m. Thanks Rich!! Keep it up man!! 11 December 2010 / 9:26 a.m.
Good Job Mikko, So Proud to have you here in Europe! 12 December 2010 / 3:22 a.m.
12 December 2010 / 7:10 a.m.